Art Impressions Blog: BOO! New Halloween and Thanksgiving Clear Stamps! PLUS Challenge 239 Treat Bags! BOO! New Halloween and Thanksgiving Clear Stamps! 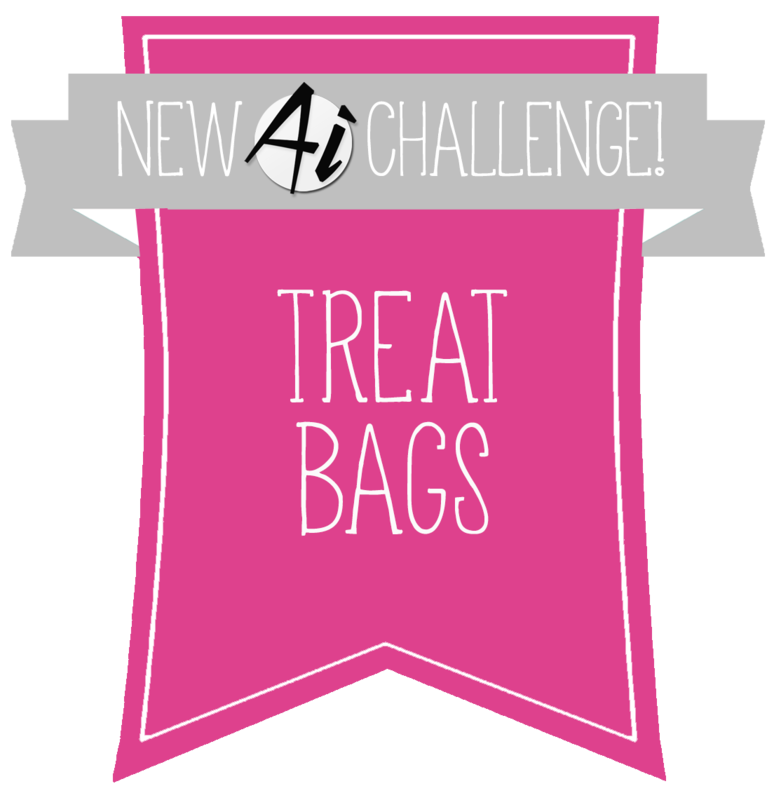 PLUS Challenge 239 Treat Bags! Hey, ghoul friend! Kick off your Halloween crafting with our TWO new clear stamp sets! Send a greeting too cute to spook with our Halloween Magic and Ghoul Friends sets! 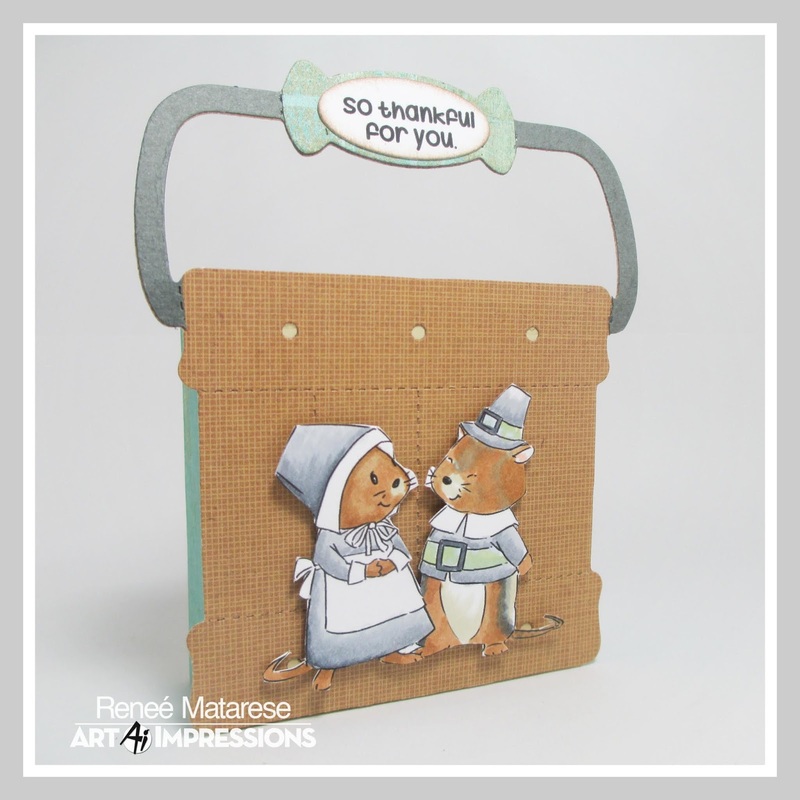 Additionally, our Grateful Hearts Set is tagging along as our classic Thanksgiving set, featuring sweet script sentiments and little pilgrim mice. Take a closer look with our video from the Mixed Media Event! 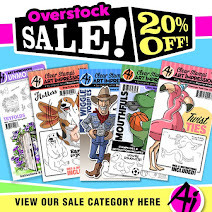 Visit artimpressions.com today to pick up your Halloween and Thanksgiving stamps today! Today Renee has oodles of adorable projects to kick off our release as well as our new "Treat Bags" challenge! Let's take a look! Today it's my turn to be featured on the Art Impressions Blog. The new challenge starts today and couldn't be more fun! 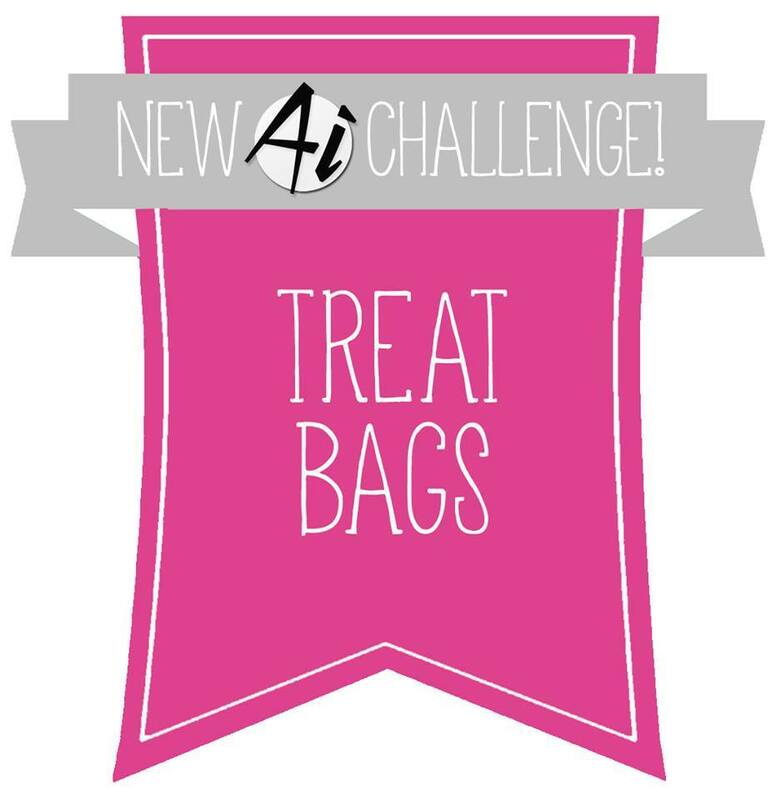 TREAT BAGS!! I'm featuring the Grateful Hearts Set. Well...when it's a challenge this fun I couldn't stop at just one bag! I made a card and 3 different treat bags. This is what it looks like all folded up. My first little treat bag is a "bag in a box" that I made with my Envelope Punch Board from We R Memory Keepers. Who knew? Apparently there are so many different things you can do with your envelope maker than just make envelopes! THIS is the tutorial I followed. Believe me, it couldn't have been simpler! How cute is this?? Bonus...as I was folding it up my mind was racing with other combinations of ways to fold and glue this for different shapes and sizes. My next treat bag is really a box. 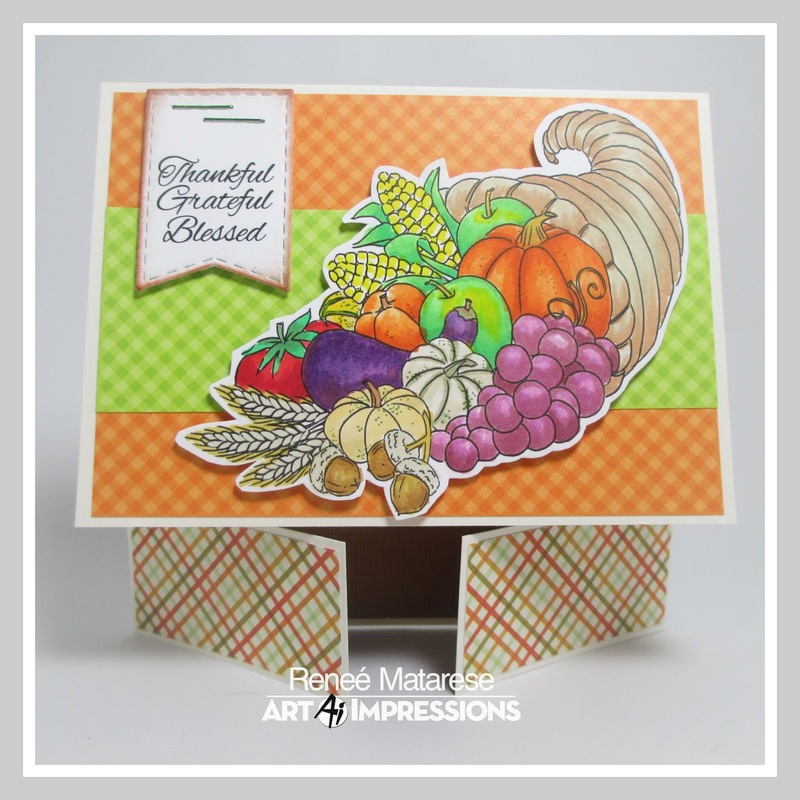 I used my Sizzix Harvest Bucket die and glued it to the front of an open box. My last treat bag is a clear bag that I made a topper for. I used all but three stamps from this set on my projects so you can see you get quite a lot of beautiful Thanksgiving images and verses with the set. Thanks, Renee! Those treat bags are too cute! All of your different techniques and formats are really inspiring! Hoping for a treat? Join our challenge! No tricks! We always love seeing what our fans create with our stamps, so join in the fun for the chance to win! This challenge theme is "Treat Bags" which is great for Halloween or other kinds of party favors! ✻ Make sure to get your link up by Wednesday, August 29 at 5:00 p.m. PST to enter your creations. Before we go, let's recognize the winners of last week's Card & Envelope Challenge! Congrats, Lisa! We love your bright birthday card featuring our Sunny Shades girlfriends and candle-filled birthday cake on your envelope! Too cute! Email annelise@artimpressions.com with your address to claim your prize pack! Congrats, you two! Lorraine, such darling coordination of light blues with two of our snowman stamps! And Milene, your Halloween Treats Mini Tryfold card is darling, and we love your matching envelope with the door image! 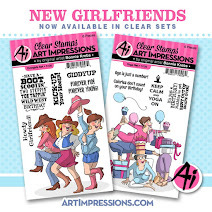 Email annelise@artimpressions.com with your address and select a stamp set of your choice for a prize! Thanks to everyone who joined the challenge, we'll see you again next week! Thank you so much! I can’t wait to receive my prize pack. What a fun challenge. Congratulations Lisa and Milene!! Woo Hoo!! Great cards and envelopes!! Thank you so much for choosing my set in your honourable mention too! I am thrilled to bits! Congratulations Lorraine, Lisa, and Milene! 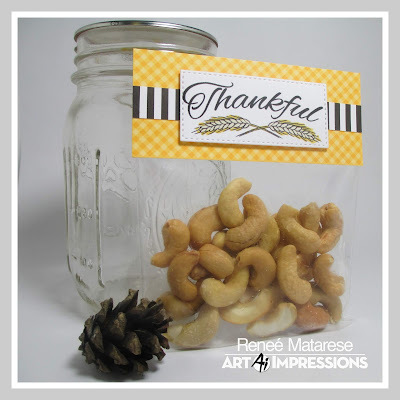 Reneé, your treat bags and boxes are so pretty and the perfect inspiration for this challenge! Congrats winners...and what a neat idea for a challenge! Love all the different examples Renee! Fantastic array of wonderful creations, Renee! Congrats to all the winners!